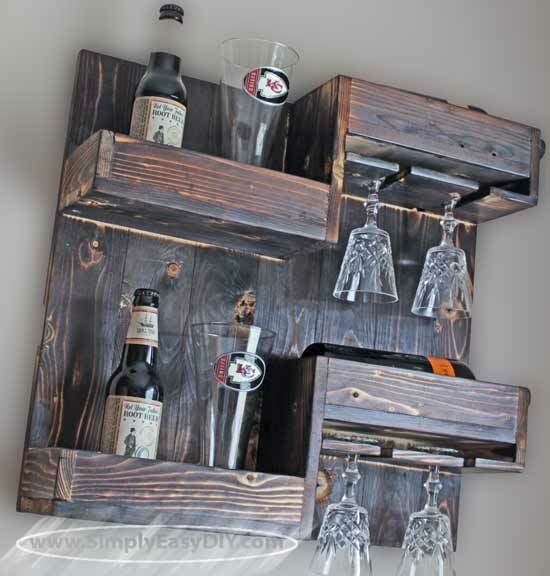 Build a rustic looking wine rack yourself. You'll be glad you did. I don't know if there is anything I like better than a ice cold bottle of beer as the Kansas City Royals come from two runs down to win it all. I think the only thing that would top that is an ice cold bottle of beer as the Kansas City Chiefs win it all. Hey, we all have our dreams. In fact, I have a pair of Kansas City Chiefs beer glasses. I can't tell you the number of times I've had to go looking for these things because they've gotten pushed back or moved around from place to place in between use because they have no place of their own. 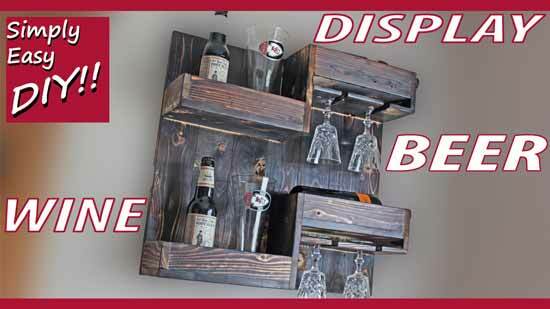 2 Vertical Center Pieces @ 5" x 7.75"
8 Front & Back Shelf Pieces @ 2" x 10"
2 Bottom Shelf Pieces @ 5" x 10.5"
2 Bottom Shelf Pieces @ 5" x 10"
2 Side Shelf Pieces @ 2" x 5"
2 Side Shelf Pieces @ 3.5" x 5"
2 Wine Glass Shelf Pieces @ 5" x 10.5"
NOTE: Some edge gluing is necessary for this project if your using my materials list and attempting to get my cut list. Everything has been listed according to how and what I used in order to arrive at the final cuts listed. You may choose to deviate from my techniques in order to suit your comfort level. The bottom of the shelves are two 1x4s edge glued together. Then ripped to 5" on the table saw. Alternatively you could buy a 1x6 and rip that to width. The sides are a 1x4 ripped to 2". A 1x3 could be used as well. You see how quickly this can get real complicated, real fast, if I try to list all the different combinations and possibilities into this one post. I'm not going to do that to you. So I'll merely list what I did to get to what I got. Hopefully that helps. 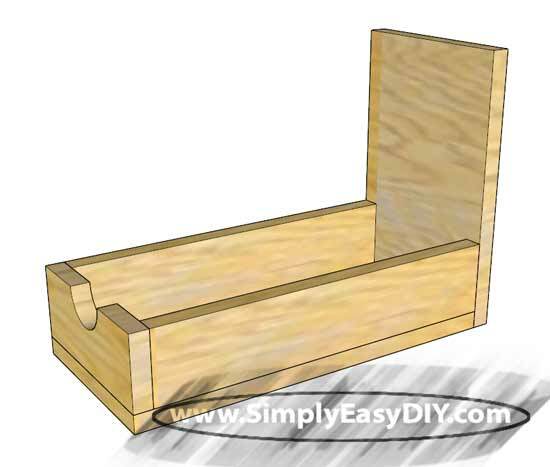 Glue and clamp the sides to the bottom piece. You could leave it like this. The glue should provide enough strength for a project like this. I added some dowels throughout the project in order to add structural strength and some visual appeal. By the way one bottom piece for each shelf assembly is 10.5" and the other is 10". So make sure you flush up the sides with one end of the bottom in order to leave room to attach the end on that side. Glue and clamp the two sides to one of the shelf bases assembled in step 1. Dowels if so desired. 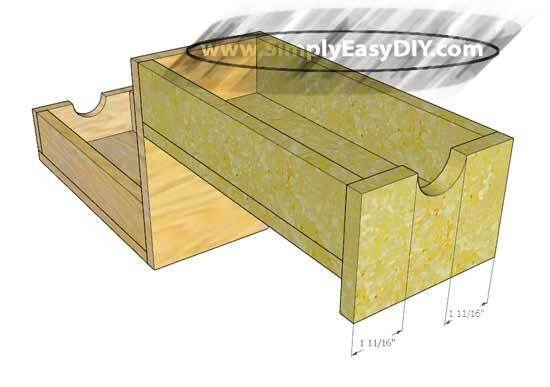 NOTE: Some would say that dowels or some other joinery method is necessary here because you are gluing end grain. Normally I would agree. 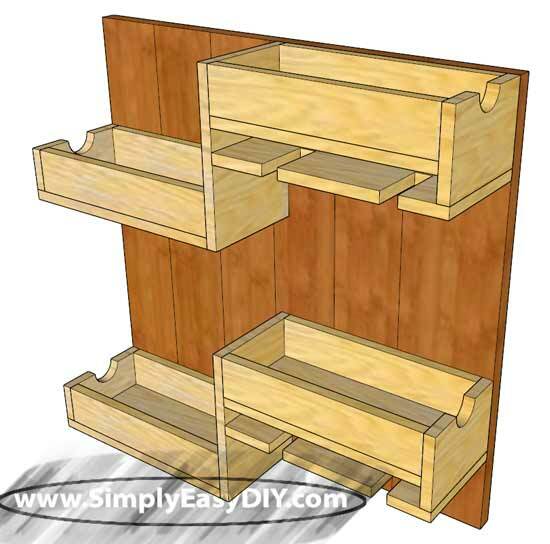 However, a later step in this build negates the need for any additional joinery here. A projects individual joints are not a microcosm in and of themselves. You should always look at the project as a whole. 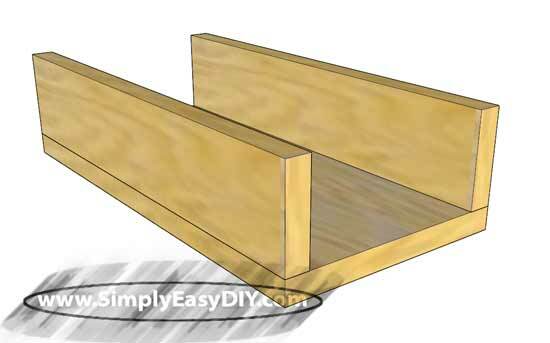 Glue and clamp the side for the other half of the shelf assembly and attach it to its mating pair assembled in step 2. Cut the slots for the wine glasses. I used a forstner bit and a pull saw as depicted in the build video above. Then I glued, clamped and added dowels to both ends. I did not show that in the video because it was getting monotonous to watch me drill dowel holes. 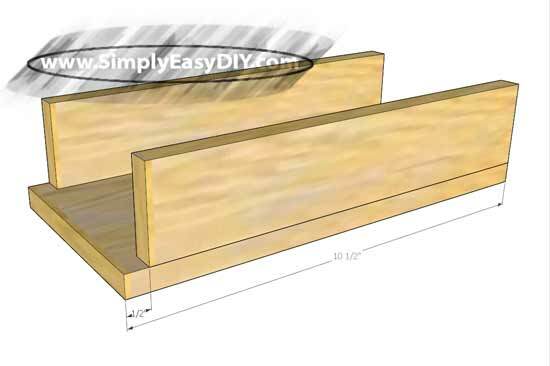 Now we can spread an even layer of wood glue to the back side of both shelf assemblies and clamp them to the base piece. The term Shou Sugi Ban is Japanese and means "burnt cedar board". The Japanese realized that if you charred cedar wood it was much harder to reignite after it had been put out. They also realized that insects such as termites avoided the stuff like the plaque. On a personal note; cedar is naturally insect resistant anyway, so I'm not sure how they concluded it was the charring that was responsible. Anyway what do I know. From what I read Japanese tradesmen where looking for an artistic finish that improved durability. Wood in general in Japan has been and continues to be in short supply. So anything that could be done to extend the useful life span of building timber was extremely helpful. For a while driftwood was in high demand due to the weathering process it underwent naturally. It made it extremely durable. So carpenters made the leap and started using fire to weather lumber. However, they also found burnt wood to be more resistant to pest infestations. Because bugs like easy meals. The burning process burns the lighter cellulose material first. Consequently its what bugs will eat first as well. So they will simply go find an easier food source elsewhere if it is available. If you would like to know more about the process of Shou Sugi Ban here are a couple videos to help you out. The first one is a video showing how the process is traditionally done today in Japan. I thought the presentation and video editing were very well done. There is no talking so sit back and enjoy. The second one showcases a manufacturer of burnt wood siding here in the United States. They do talk more about the process of burning wood a few minutes into the video. I thought the video quality and production values were such as my own in this very well put together piece. If you are interested in trying the technique yourself and wondering what I used for the process your in luck. I already had two 20 lb propane tanks that we use for our gas grill. So I bought a propane torch that also connected to it. It has been a cheap and good looking alternative to actually buying stain for my projects. I have used this technique on several different projects and each one looks just as good.